A deck of cards based on Elder Futhark! Have you ever had a character that used runes as their chosen method of divination? Get a set of these and you will always know what the runes stand for. 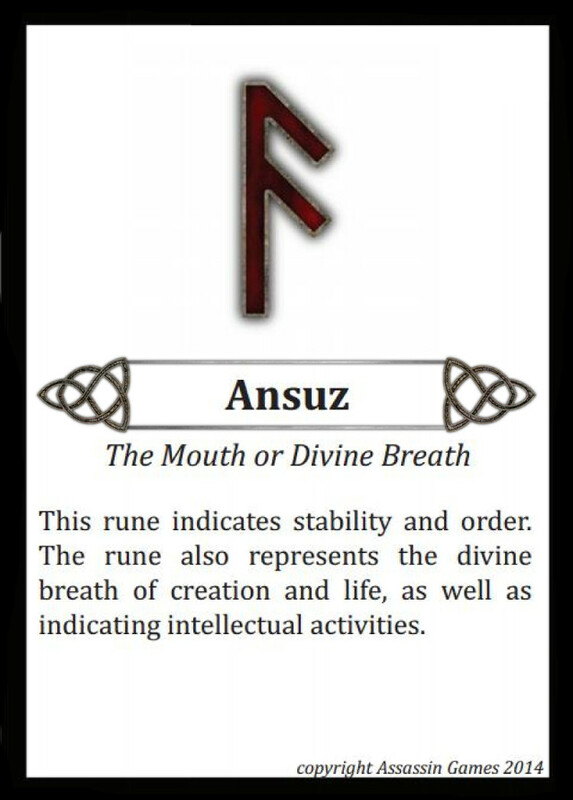 The cards include the rune names, what they symbolize, and their meanings. Amazing original artwork by B Simon Smith decorates the back of each card and illustrates each of these 24 runes! Each card is 2.5x3.5 inches (standard playing card size) and has rounded corners.